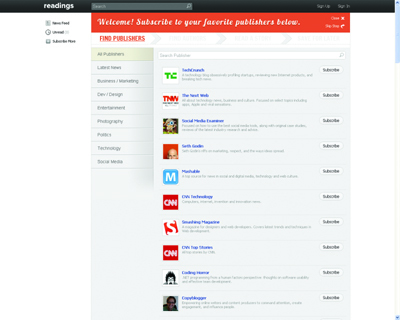 – Subscribe to your favorite publishers or authors. – News curation. It filters out the top stories for the reader. – Search news. Easily search content from within your sources. – Save for later. Read when you want to, but don’t forget. Readings offers everything in a single place.